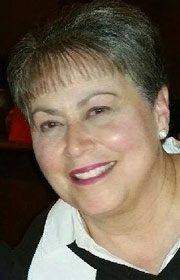 Debra Jean McAllister, 59, of Shakopee, Minnesota and formerly of Fort Dodge passed away Sun­day, July 23, 2017 at the Abbott North­western Hospital in Minneapolis. Funeral services will be 10:00 a.m. Tuesday, August 1, 2017 at Laufersweiler-Sievers Funeral Home and then at 10:30 a.m., a Mass of Christian Burial will be at Corpus Christi Church. Burial will follow at Corpus Christi Cemetery. A visitation will be 4:00 to 7:00 p.m. Monday at the funeral home. A Memorial Mass will be held in Shakopee, Minnesota on Tuesday, August 8, 2017 at 5:00 p.m. St. Mark’s. Debra is survived by her husband, David Michael; children, Joseph Patrick of Chicago, IL; Sarah Ann of Shakopee, MN; brothers, Robert Dean Saigh of Fort Dodge and Timothy Joseph (Marybeth) Saigh of West Des Moines. She was preceded in death by her parents, Dean Patrick and Josephine (Abdullah) Saigh. Debra Jean Saigh was born February 7, 1958 in Fort Dodge. She was raised and educated in Fort Dodge and graduated from Saint Edmond High School. After graduation, Debra worked at First Federal Savings Bank. At a Lebanese convention in 1982, Debra met David McAllister. The couple was united in marriage on September 29, 1984 at Corpus Christi Church. They established their home in Baltimore, Maryland for a number of years and then Indianapolis, Indiana. In 1997, the couple moved to Minneapolis, Minnesota. Debra was a loving homemaker, wife and mother.